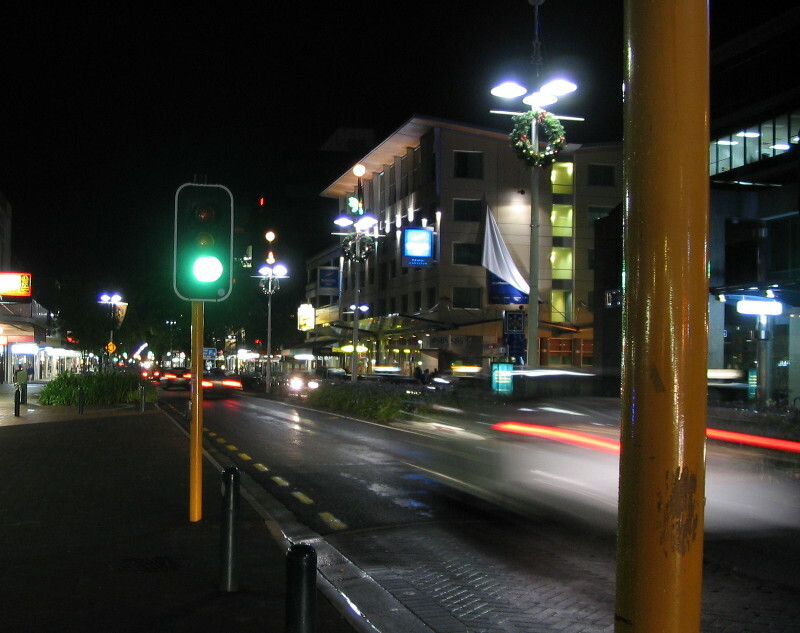 This is the first in a series looking at the economics of transport in Hamilton. We’ll be comparing the dominant private vehicle mode with public transport and active modes. Today’s post tries to establish a reasonable baseline cost of owning and operating a private car. The second post considers Hamilton’s bus service and is here. A recent article from the USA suggested Americans in a selection of cities could save as much as US$10,000 per year by ditching their cars. After sharing this post on social media and being challenged as to its relevance to NZ, I went over the numbers to try to figure out what the corresponding saving for Hamilton might be. Indeed, the NZ Automobile Association gives annual operating costs in the range of $7,500 to $15,000 for new cars, with most variation based on vehicle class/engine size. Most of us, of course, don’t buy new cars, probably because their rapid depreciation during the initial period tends not to make a good value proposition. In terms of 2nd hand vehicles, according to this Statistics NZ report, average used car retail prices were hovering just below $15,000 late last year – not an insubstantial sum by any means! However, there’s always the option of buying cheaper, and for the purposes of establishing a baseline cost that’s what I’ve done in the below calculations – I’ve assumed that a 2nd-hand Japanese imported car is purchased for $5,000, kept for 5 years and resold for $2,000. A scan of TradeMe will turn up many examples with fewer than 150,000 km on the odometer. In the below tables I’ve tried to give a fair appraisal of costs of this option over a 5-year period. We’ll assume that our subject is already licensed to drive, has $5,000 to spend and a regular income. Bear in mind that my estimated variable costs don’t include any unexpected expenses, such as cam belt replacement, CV boots/joints, clutch, brakes, accidents, parking/speeding tickets, etc. Figures based on AA’s estimates are included below and may be more accurate in this regard. A big unknown is parking costs, which will be fairly variable for most drivers. Many people are able to take advantage of free parking much of the time, but most are obliged to pay to park at least some of the time. A scan of Google’s satellite mapping of the Hamilton CBD shows a substantial amount of surface parking, as well as the Centreplace parking building. Not visible in the outdated imagery are several pay parking areas created after demolition of commercial buildings, as in Collingwood St, nor HCC’s multi-storey underground car park. So, somebody must be paying for parking, and parking costs are an important consideration for the car option, with a cost ranging from a highly improbable $0 up to several thousand dollars per year. Of course if we opted to keep our initial $5,000 in the bank instead of buying the car, we’d likely keep it in an interest-bearing savings account or term deposit. At 4% compound interest, that’d leave us $1,000 richer at the end of the 5-year period. Alternatives to the car option might also involve some initial outlay but this would be fairly insignificant by comparison. If we didn’t have $5,000 we might have bought the car on finance, which would incur extra fees as well as interest, further impacting affordability. With the car option, getting the recommended amount of exercise is going to have to be an intentional, planned extra in one’s timetable. The monetary cost of this might range from very little, such as in the case of walking in the park or jogging, up to quite a bit more for mountain biking, using a gym, etc. And the time cost of having to devote free time to exercise should not be overlooked either. Most suburban homes include parking and there’s often on-street parking too, courtesy of the ratepayer, but if inner-city living is your thing then that parking space might cost you extra compared to an apartment without a space. There are a great number of vacant commercial buildings in Hamilton’s CBD; perhaps not owning a car affords us the option of living within walking distance of work and most other amenities and in a fancier home? It’s not necessary for households to be ‘car-free’ in order to save a lot of money. Given that NZ has the 8th highest per-capita motor vehicle ownership (which includes commercial vehicles) in the world, we can reasonably assume that most households already own several cars. With some planning and/or a few tweaks many households could probably get by with one fewer car, and realise savings on the order of the costs calculated above without foregoing all of the convenience of owning a private car. Is car ownership remarkably affordable in NZ? What stands out from this exercise is that, compared with the US study cited above, it is really very cheap to own and operate a motor vehicle in NZ. This is likely in large part a result of the availability of imported 2nd hand Japanese vehicles, which are arguably extraordinarily cheap as a result of Japan’s strict vehicle regulations which force cars off the road and probably greatly boost the Japanese car makers’ domestic sales. Whether we will continue to have a banquet of quality used cars at such prices remains to be seen; with Australia’s domestic car manufacturing industry winding down, a significant barrier to Australia absorbing a large share of the Japanese 2nd hand market will soon be no more. We also have a historically high NZ dollar, which helps with the motor vehicle purchases, fuel and parts, almost all of which are imported. This is unlikely to be a permanent condition, however, and by having most of its transport ‘eggs’ in one basket, NZ is exposed to a variety of geopolitical and natural events that could threaten the affordability of our current level of mobility. Finally, NZ’s fuel taxes, while high by US standards, are the 5th lowest in the OECD. NZ also has a more economical vehicle fleet than the USA, meaning that whilst we might pay more per litre of fuel, we tend to use fewer litres to travel the same distances. In the next post we’ll look at the Hamilton bus service as an alternative to car ownership. The article from US has interesting comments from Tuckerfan – Is this person saying the reason he works is to buy a better car. Old article I know – but the $1000 compound interest over 5 years on your balance sounds quite high?